All three impeachment motions brought by Members of Parliament in the history of Parliament have been unsuccessful. But the impeachment against Dr. Shirani Bandaranayake appears to be heading for success. An impeachment cannot simply fail over mere legal arguments. Similarly an Impeachment cannot fail because of strange arguments presented by law professors. The reason for this is that since it is a matter with political overtones, political strategies are involved. The impeachment motion brought against Chief Justice Neville Samarakoon was strategically dragged by King's Counsel Mr Nadesan for a long period of time, by winning the hearts of Select Committee members. Certain people even say that Neville Samarakoon had to resign from his office. In fact what happened was he went on retirement. Lalith Athulathmudali who was a member of the Select Committee said openly that there were no sufficient grounds to bring an impeachment motion against Neville Samarakoon. However since it was unable to punish Neville Samarakoon through the said impeachment, the impeachment was unsuccessful. Messers Lalith Athulathmudali, Gamini Dissanayake and G M Premachandra who were the members of the United National Party and Mrs Sirimavo Bandaranaike, Anuruddha Ratwatte and Nimal Siripala De Silva and Members of Parliament from the Tamil Union Front Party, initiated the impeachment motion produced against President R Premadasa. Nimal Siripala De Silva went to the residence of Speaker M H Mohamed and obtained the impeachment motion signed by the parliamentarians of the United National Party very secretly under cover of night. Parliamentarians of the Sri Lanka Freedom Party signed for the said impeachment motion on August 7, 1991 at Rosmead Place at an auspicious time. Mrs Sirimavo Bandaranaike did not inform these developments to Anura Bandaranaike since it was considered a secret. The important matter in this impeachment was that the signatures of the Parliamentarians of Tamil United Front Party were obtained at the Speaker's Office of "Mumtas Mahal" and thereafter the Speaker himself rejected the impeachment motion. After the secret emerged, Stanley Thilakaratne turned traitor. Mrs Hema Premadasa played an important role to defeat this impeachment and she took the leadership without fear and implemented her plan even better than Premadasa. During this period two important events occurred in Sri Lanka. One was that the son of M H Mohamed went missing. The second matter was the Urban Development Authority sold the land called "Kimbulawela" for a very small sum and thereafter the same Urban Development Authority repurchased the same land for a huge amount of money. There were rumours that about 30 million rupees out of the said transaction went abroad. Threats became stronger. Parliamentarians were forcibly kept in hotels. Parliamentarians who placed there signatures, withdrew their signatures by tendering affidavits. Sorcerers (Kattadiyas), virgin girls and women came from India and stayed at different places. Rumours began to fly about stating that Mohamed was retracting. Mr Premadasa adjourned Parliament. Mohamed dismissed the second impeachment stating that there were no sufficient signatures. The United National Party Parliamentarians confirmed the message floating around that it was going to sign an impeachment motion against the Chief Justice Sarath N Silva. Even though the assistance of the court was required to prevent this impeachment, Chandrika Kumaratunga protected Sarath N Silva and took all necessary action to prevent it. President's Counsel Zuhair filed action as the Petitioner. President's Counsel Jayampathi Wickramaratne, Gaston Jayakody drafted the Petition and I acted as the registered Attorney at Law for the Petitioner the document being prepared at the Shipping Corporation Building. Because of the Notice I sent, parliamentarians gathered and discussed about it. 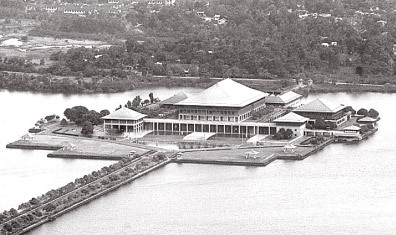 At that time Anura Bandaranaike was the Speaker of the House and as Speaker did a great job regarding the said impeachment motion. He gathered books and texts and went through all these and pronounced a wonderful historical interpretation regarding same. I also argued against his interpretation. He totally rejected my arguments and the Indian case laws I put forward. His decision became a historical interpretation. Thereafter because of the said decision, most politicians hailed Mr Bandaranaike as a great democrat. The political strategy was time buying. The power of the court, to issue stay orders against Parliament was called into question. Mrs Kumaratunga sacked the government. Sarath N de Silva took a very strategic and intelligent decision. During this period, discussions commenced between the Red Leader and the Leader from Hulftsdorp at a house in Wewa Road. As a result an Interim government came into power. The Impeachment failed. The only strategy put forward to defeat the impeachment motion brought against Dr. Shirani Bandaranayake was to create foreign pressure. But the lawyers who appeared on behalf of the CJ did not have even a simple knowledge about political strategies. They put forward a lot of legal and strange arguments and they could not create any crisis internally in the country or within Parliament. At least there is no one to say that there is CIA involvement behind this scene.